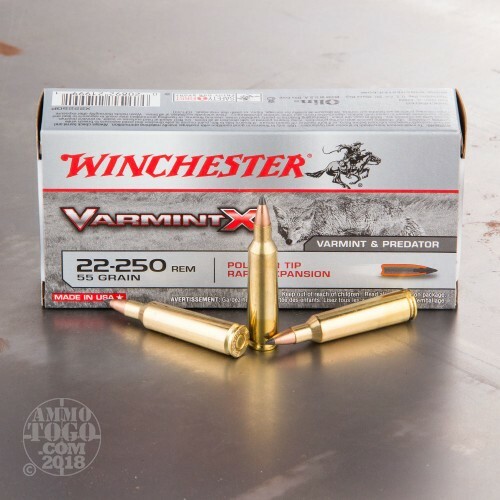 Varmint X loads combine Winchester’s tradition of excellence with cutting edge bullet technology. 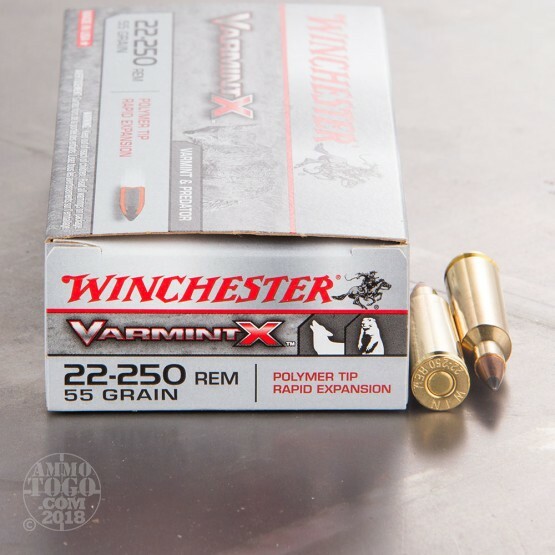 The combination gives shooters a major advantage over a variety of varmints and predators. 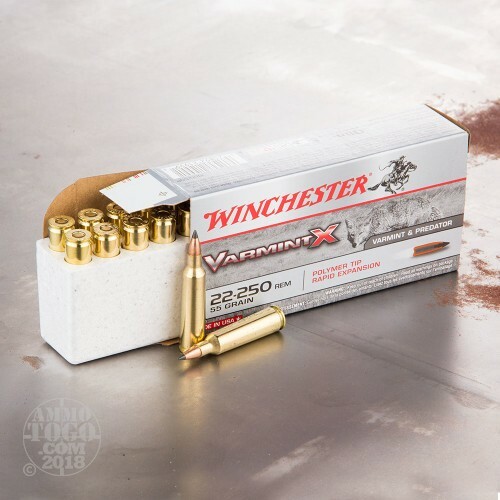 Varmint X delivers quick humane kills whether you’re hunting squirrels, groundhogs, coyotes, or woodchucks. Each factory fresh .22-250 Remington cartridge features a 55 grain polymer-tipped hollow point projectile. 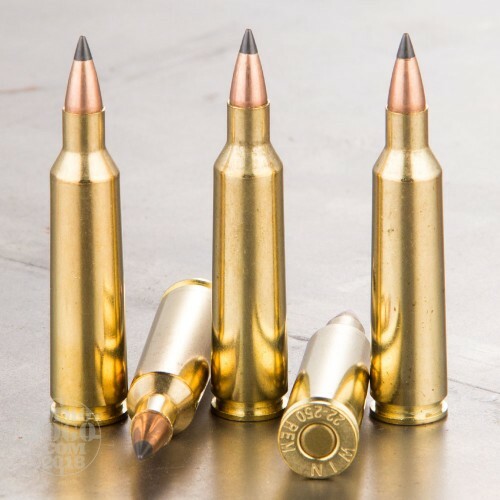 These proprietary bullets deliver an increased ballistic coefficient to maximize long-range accuracy. Each bullet is engineered with a thin alloy jacket with a special sidewall profile. This jacket surrounds a softer lead core and produces rapid and explosive fragmentation as the polymer tip is driven into the hollow point upon target impact. Each package contains 20 rounds of non-corrosive, boxer primed, ammunition with reloadable brass cases. Each round produces a consistent muzzle velocity of 3253 feet per second and a muzzle energy of 1654 foot pounds.